Sometimes an artist pops up out of nowhere and your gut tells you to just go for it. Anastasia Kristensen is one of them and we couldn’t be happier than kickoff Linke Soto in 2018 with her. Currently residing in Copenhagen, where she’s a regular at Culture Box and quite the dancing machine herself. On March 24th we’re hosting her in Maastricht, her actual second appearance in The Netherlands. The home of Legoland has been exporting quite some interesting artists lately. Anastasia Kristensen, born and raised in Russia, has been steadily knocking on the doors of many clubs around the world after emerging at Culture Box in Copenhagen. Culture Box itself seems to be built on really fertile soil, by also housing artists like Courtesy and Mama Snake. 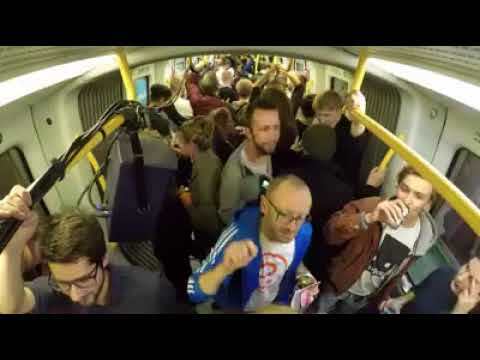 Denmark also seems to be the only country in the world where one can play a live set in the subway. In case you don’t believe it yourself, check out the video below. It was quite the ride, spanning everything from techno to jungle and beyond! Riding the waves at Boiler Room Berlin’s 6th year anniversary showed the world once again why Anastasia Kristensen is one to watch for 2018. She made things probably look easier than it actually went down, but we’re pretty confident that we’re going to be in for a treat. Listen for yourself. Remember Dayak rocking the Tresor? Anastasia rocked Berlin’s Tresor not that long ago either. During last year’s Berlin Atonal she rocked the after show with Dimitri Hegemann looking over her shoulder, where she has been a regular ever since. March 24th is going to be something special once again. We’re eager to make it just as great as our last night in November with Anthony and Tom, so be prepared and get your tickets well in advance. This one might fill up faster than expected. Have you already signed up for our newsletter? You might be in for a treat. Any questions, requests or bookings?